The master bedroom of the four-bedroom unit, which are priced from $1.68 million ($1,191 psf). Riverfront Residences occupies the site of the former Rio Casa, a 286-unit privatised HUDC estate. Singapore-listed property developer Oxley Holdings will preview its newest project, Riverfront Residences, over the weekend of June 23 and 24. 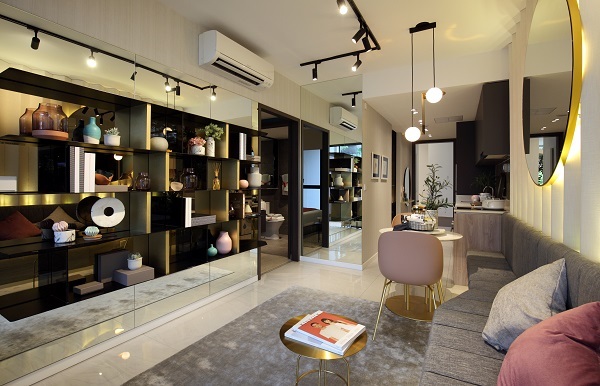 The 99-year leasehold development on Hougang Avenue 7is Oxley’s fifth new launch this year. Riverfront Residences will have a total of 1,472 units, comprising nine 17-storey blocks of apartments, 21 strata landed houses and six strata shops. 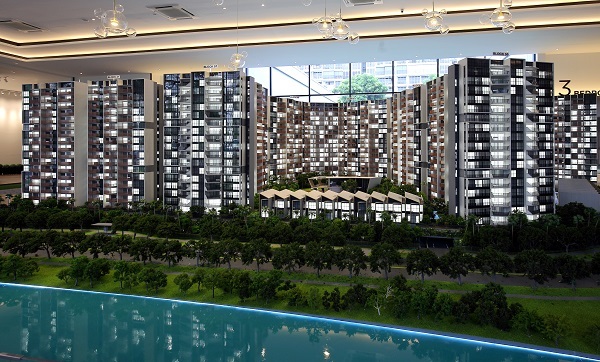 The project is the Oxley-led consortium’s largest this year in terms of number of units. Riverfront Residences occupies the site of the former Rio Casa, a 286-unit privatised HUDC estate. The site was purchased en bloc by Oxley Holdings and its joint-venture partners KSH Holdings, SLB Development (listed property development arm of Lian Beng Group) and Apricot Capital (investment arm of the Teo family of Super Group). The purchase price of Rio Casa in May last year was $783 million, which translates into a land rate of $706 psf ppr, including differential premium and lease top-up premium. Given that the Oxley-led consortium had purchased the site last year before land prices ran up, it is able to price the units at Riverfront Residences very competitively, from $1,200 psf. “I don’t think we will see any new projects being launched in the price range of $1,200 to $1,300 psf for some time,” says Eric Low, deputy CEO of Oxley Holdings.